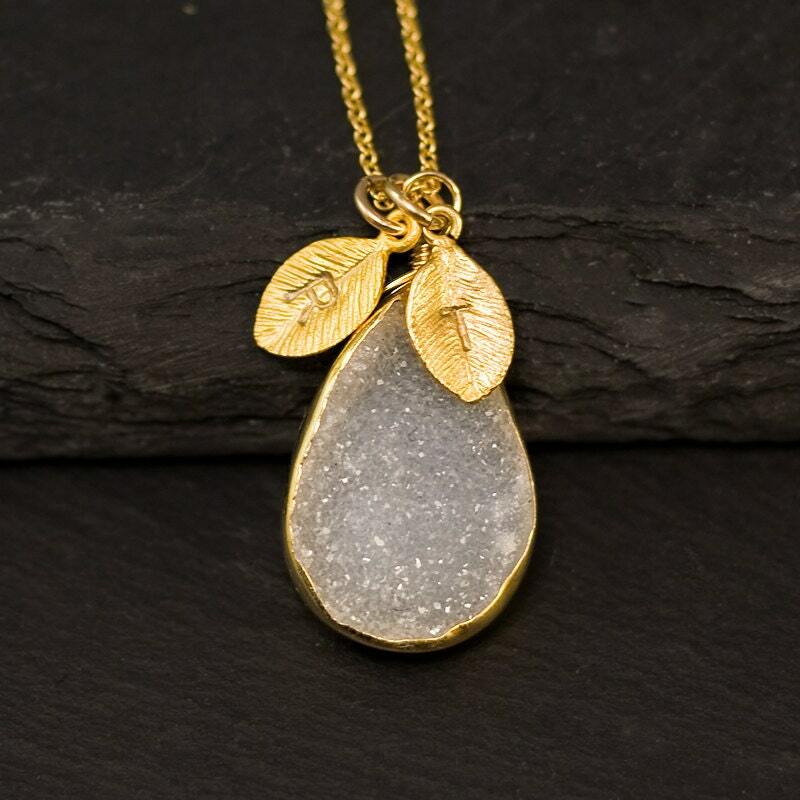 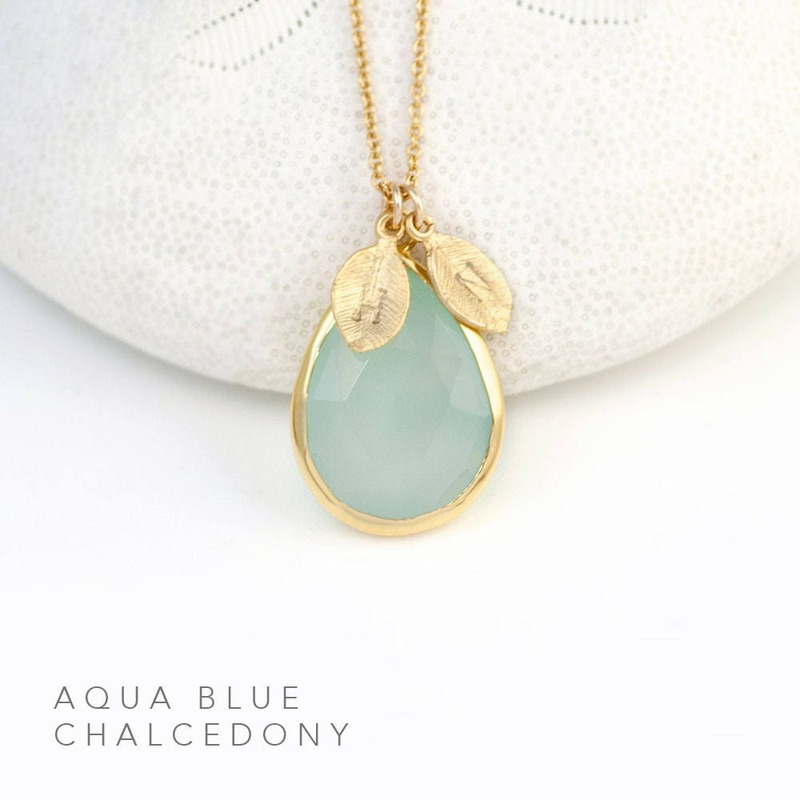 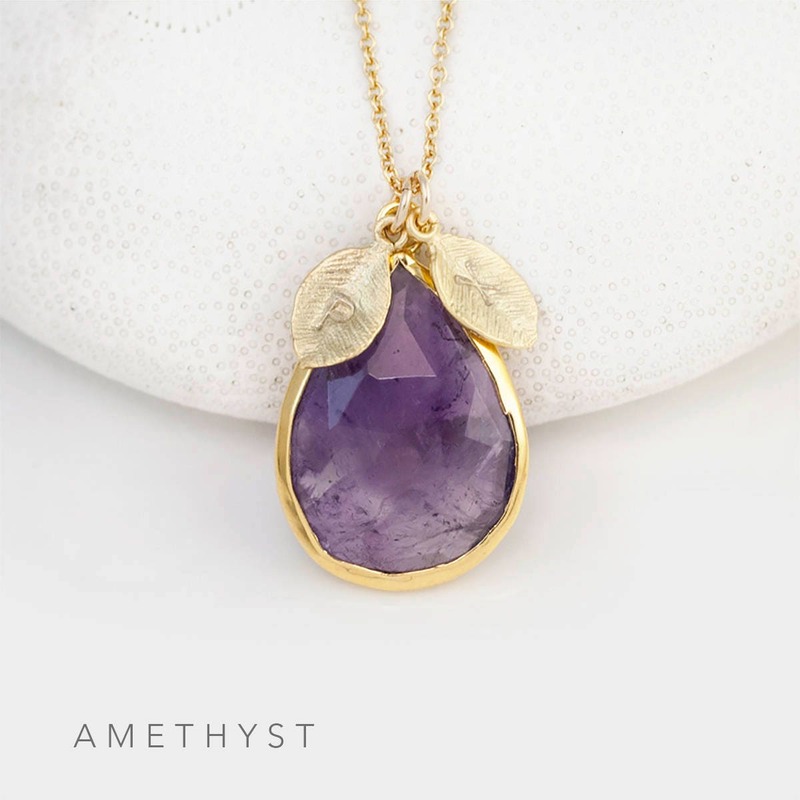 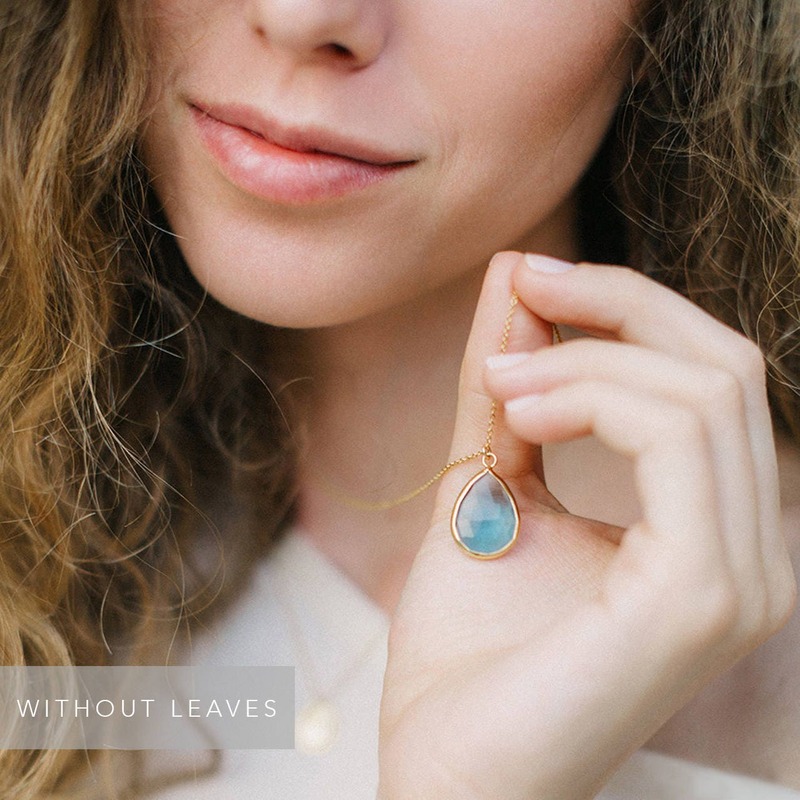 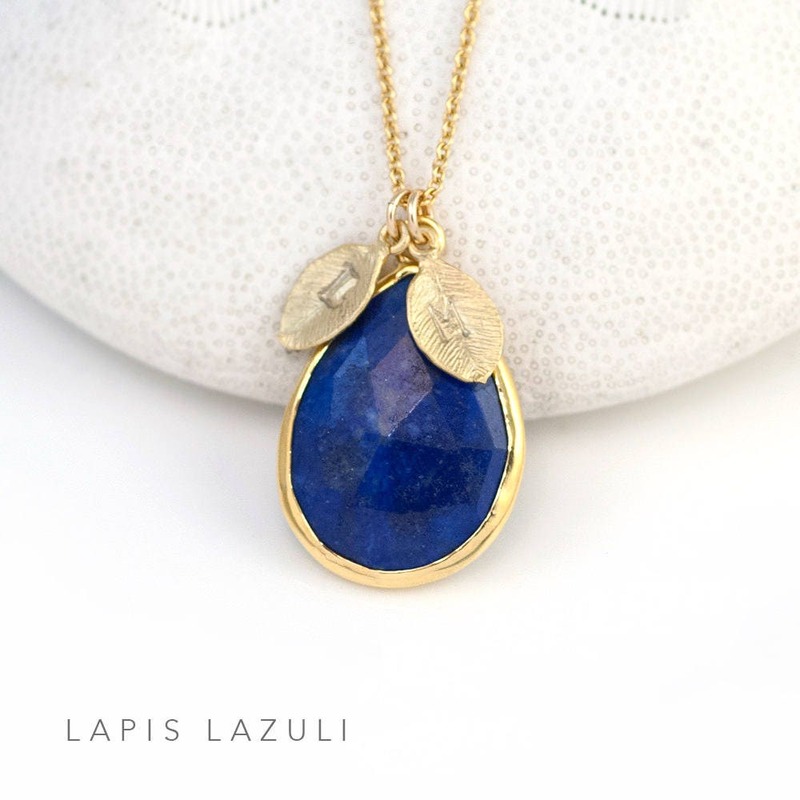 This stunning necklace features a gold or silver framed gemstone drop pendant hanging from a 14k Gold Filled or Sterling Silver chain. 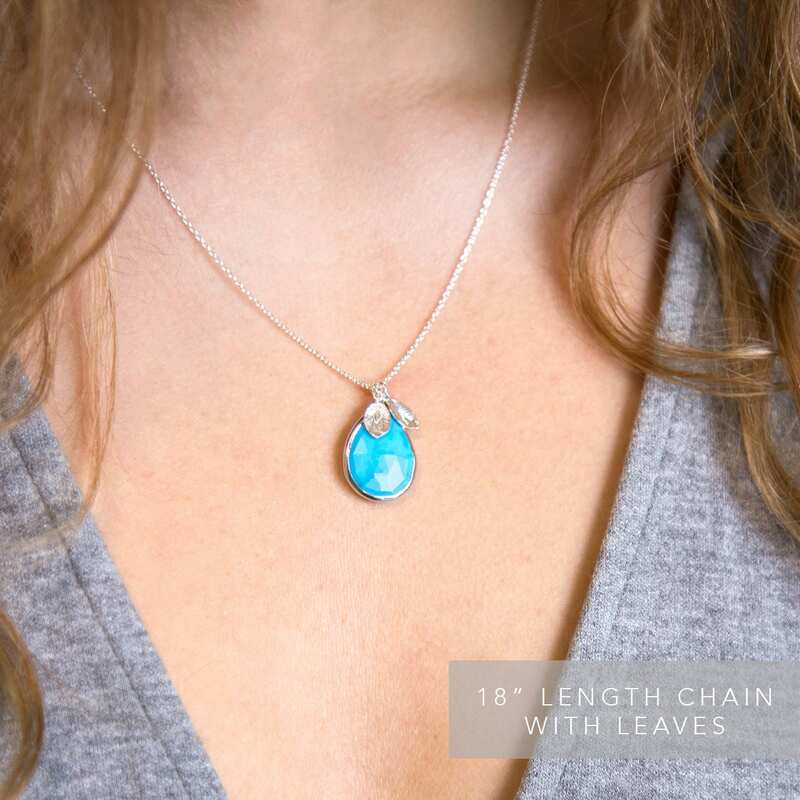 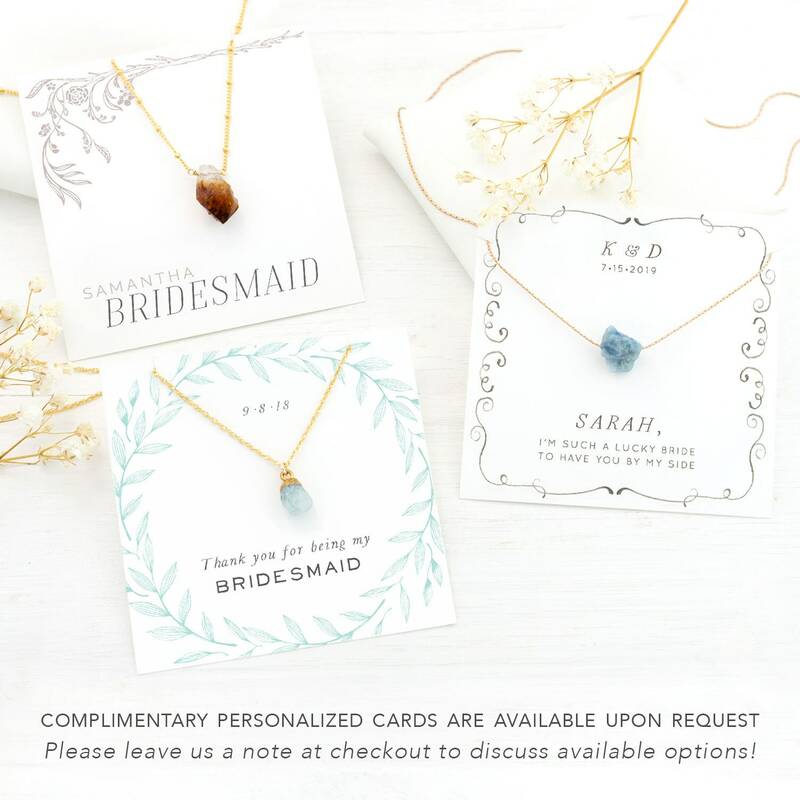 This necklace is available with the option of adding 1-4 leaves - hand stamped with the initials of your choice at NO additional cost! 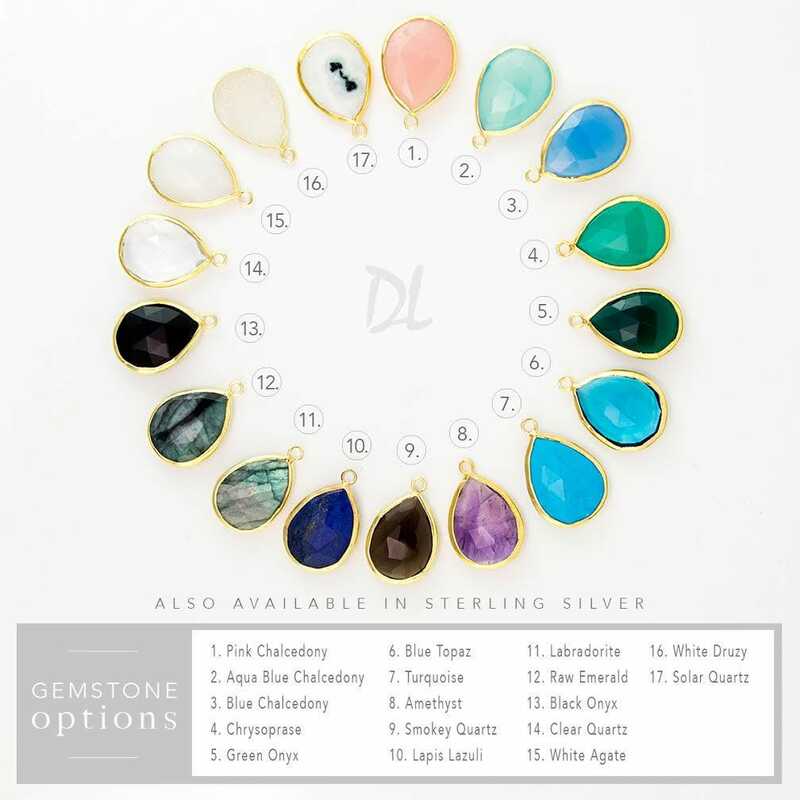 See ordering instructions below.